To link a project, enter the settings by clicking the gear icon in the upper right. You should be seeing the WORKSPACE settings pane; if not, you can get there by clicking the WORKSPACE tab in the top left. From here, there is a section labeled TRUFFLE PROJECTS. Beneath this box, click the button ADD PROJECT. A file selection popup will appear. 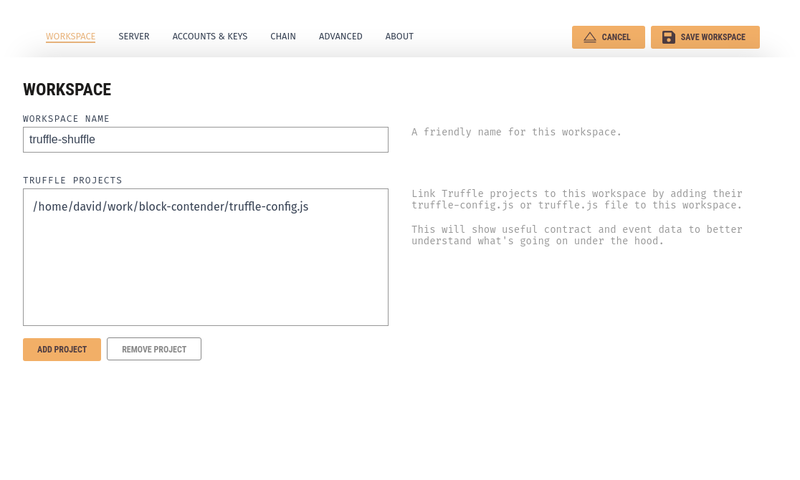 Navigate to the folder of your Truffle project, and select the truffle-config.js or truffle.js configuration file. The file you pick must be either named truffle-config.js or truffle.js for Ganache to correctly load it. 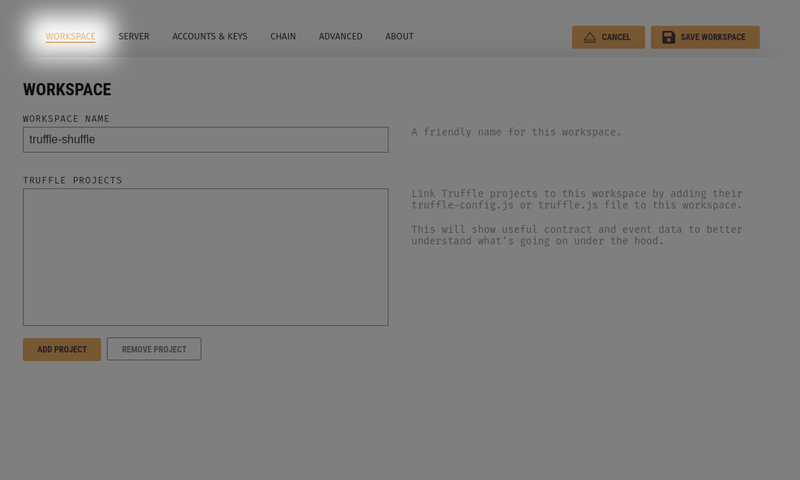 After selecting the file, you'll see it listed in the TRUFFLE PROJECTS section. You can add multiple projects to a workspace. After you're finished with adding projects you can click the SAVE AND RESTART (SAVE WORKSPACE if this is a new workspace) button in the top right.